Those with a dedication to fitness must try out CrossFit. This demanding and heart-pounding workout will truly test your mettle as it brings together elements of powerlifting, high-intensity interval training, calisthenics, and much more. If you’re ready to bring your workout to the next level, check out the 10 best CrossFit gyms in Wisconsin. Nothing beats BrewCity CrossFit, located just outside of the Third Ward in Milwaukee. 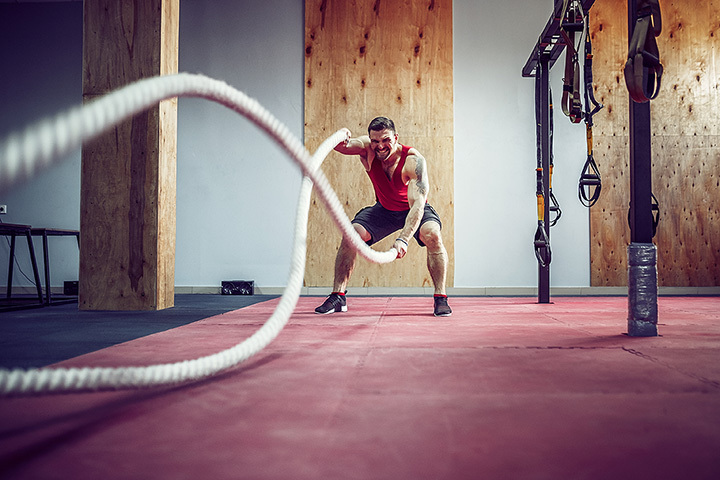 This gym not only provides an atmosphere of encouragement and hard work, but also boasts knowledgeable trainers that can teach you everything there is to know about CrossFit. Whether you’re looking to tone up or looking to compete in the CrossFit Games, CrossFit Madtown will get you the results you are looking for. They have both youth and adult performance training programs, CrossFit, and Olympic weightlifting. You’ll love the comradery around fitness and friendship at CrossFit Green Bay. Learn from over 10 top-notch coaches and get in the best shape of your life. Enjoy CrossFit for kids, teens, and adults, as well as personal training options. Fighting Chance CrossFit is not your average gym. They are loud, they like to have fun, and they train insanely hard. If you’re looking for a fun way to improve yourself and make new friends—Fighting Chance welcomes you. Try them out for a week for free and see for yourself! You’ll find “community and quality coaching” at CrossFit 100 in Glendale. Top of the line equipment and intense programs will make any fitness fanatic excited about joining. You can be sure you’ll reach your fitness goals with the help of the training staff at CrossFit100. Coined as “the happy gym” and place where “the best get better,” CrossFit Themis promises to challenge you. Wherever you are in your fitness process there is a program for you. From learning the basics, taking intense CrossFit classes, to personal training—there’s something for everyone. At A1 CrossFit their highly-trained staff with utilize functional movements that will make you stronger. See results quickly while in a fun team environment. You’ll receive a mixture of training pulling from endurance, speed training, kettle bells, Olympic lifting, power lifting, athletic inspired workouts, and more. Badger CrossFit in Wauwatosa is Wisconsin’s only Reebok recognized CrossFit affiliate. They offer a strong, supportive community stemming from their love of fitness. If you thrive in an environment that’s peer driven and are looking for results try Badger CrossFit today. Located just off of the Beltline in Madison is CrossFit Connex. Enjoy top-notch coaches who are there to help you reach your fitness goals. There are tons of different classes for all fitness levels. Newbies can sign up for a free intro class, or you can hop during their Open Hours to work athlete led skills. CrossFit Waukesha provides the greater Waukesha county area with a safe and fun way to go about fitness. While the work outs are always changing, the intensity is always brought. By joining in CrossFit you’ll improve your stamina, strength, power, speed, coordination, agility, endurance, balance, and accuracy. Sign up today!